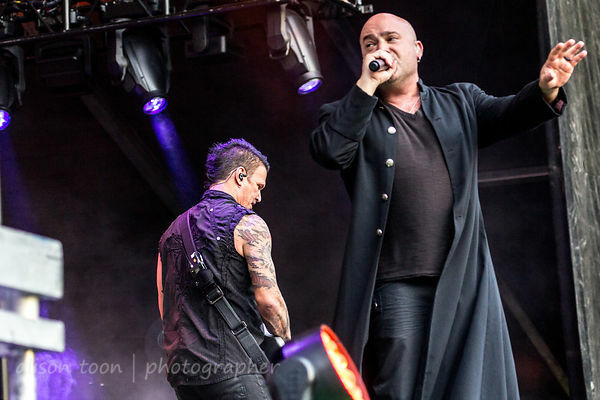 Toon's Tunes : Aftershock: review and photos, Disturbed!!! Second chance to see them, and photograph them, this year. First was at Chicago Open Air, where they headlined the Saturday of the three-day festival, and brought heat and flames and pyro. And then again in late October at Aftershock in Sacramento, on the Sunday, just as night was falling: the backdrop gossamer-light squares of chainmail, the crowd enormous, reaching way, way back into the treeline at Discovery Park. Tens and tens of thousands of people. There's definitely been an expansion of Disturbed's longstanding fan base since this summer's album, Immortalized, and it's stunning... yes, truly... cover of Simon And Garfunkel's The Sound of Silence. If you want to know more about the choice and recording of this song, check out this interview on San Francisco's 107.7 The Bone radio station. 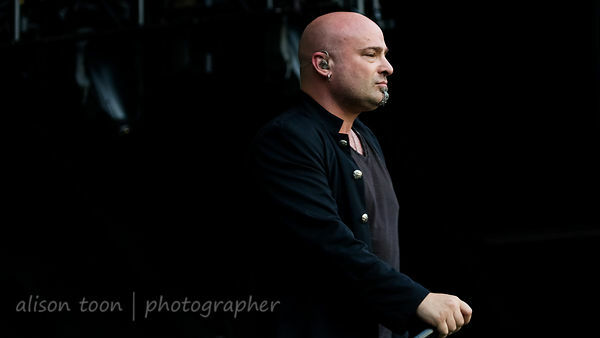 If you are looking for other quieter, less-metal-more-melodic Disturbed songs, because before now, you thought that all they did was Down With The Sickness, then check out Darkness from Believe, Overburdened from Ten Thousand Fists, or their cover of Metallica's Fade To Black... David Draiman has one heck of a voice, whether it's rhythmic-staccato or whether it's powering to a crescendo of a Simon and Garfunkel classic. Genesis fans??? 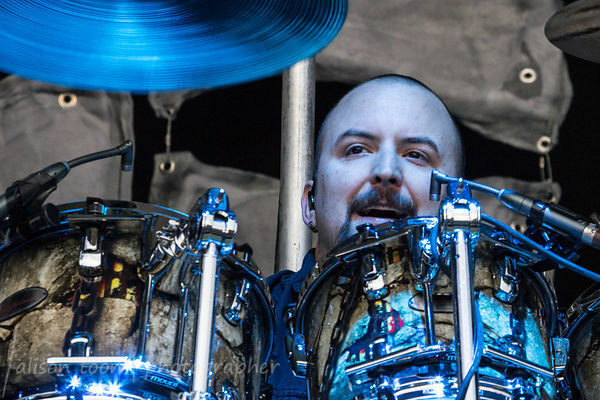 Check out Disturbed's cover of Land of Confusion. 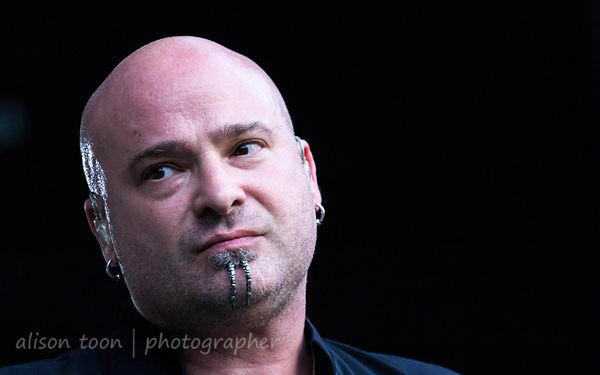 And then when you've checked all that, to listen to the rest of Disturbed's catalog... and add them to your collection. 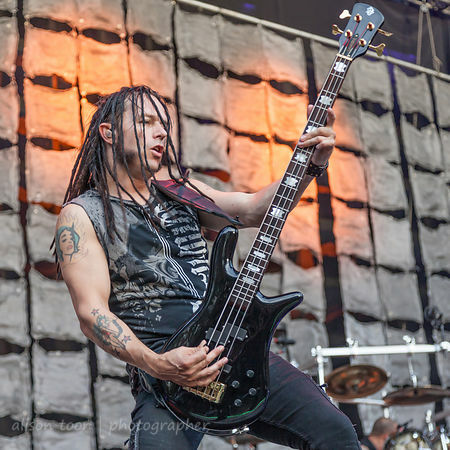 On August 15th, Disturbed recorded a live concert at Colorado's stunning Red Rocks Amphitheater. The audio album is set for release on November 18th, and you can pre-order it here or at your usual online outlet--find out more on Disturbed's website. Disturbed have a load of tour dates planned for Europe over the next few months: check the schedule here. 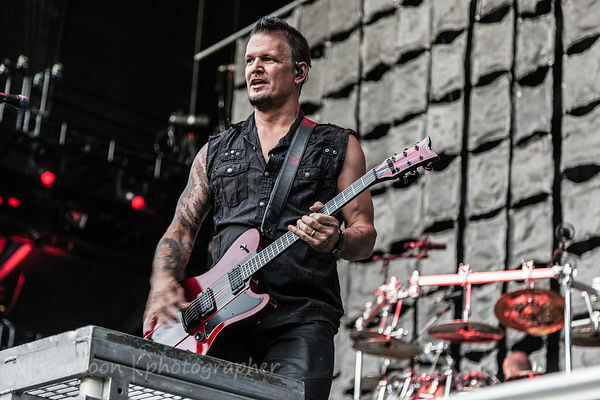 Many more photos from Disturbed's show at Aftershock are here in the photo gallery... and if you missed those from Chicago Open Air, click here! Excellent photos as usual Alison. I love Disturb's version of Sounds of Silence, which is one of my top 10 favorite songs of all time. Shear poetry.